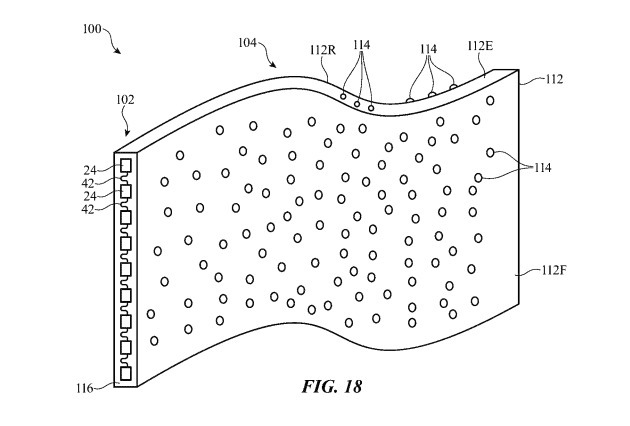 Granted on Tuesday by the U.S. Patent and Trademark Office, the patent for "Electronic devices with soft input-output components" describes ways that a stretchable and deformable elastomeric substrate layer could be used as a form of circuit board for a device. Rather than using wires or a rigid board as typically used, the substrate would be flexible, so not bound to a specific shape, and capable of being stretched in various directions. The potential for a flexible display has been explored by Apple many times in the past, with a number of patents and applications in recent years dealing with the subject. 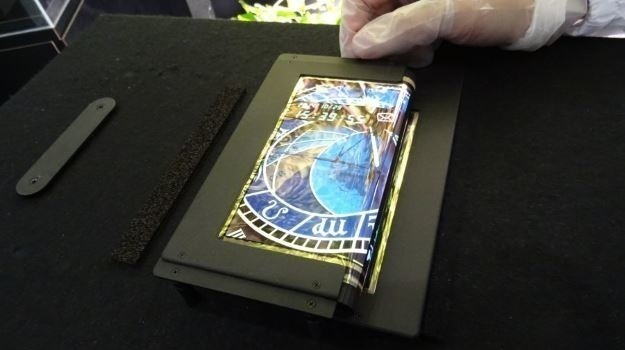 Earlier this month, another patent granted to the company explained how a flexible screen could be folded in a bendable smartphone without damage. Apple has also invested heavily in microLED display technology, one that is effectively a display panel using tiny LEDs on a sheet, which could feasibly be used for a flexible screen, as well as offering potential power savings and reducing the overall screen thickness. In October 2017, Apple was rumored to be working with LG to produce a foldable OLED iPhone by 2020. At around the same time, Merrill Lynch analyst Wamsi Mohan wrote to investors suggesting a similar launch timeframe for the device, speculating such hardware could "double up as a tablet," saving the user from using two mobile devices. Apple regularly files patent applications with the USPTO, and the publication of an application or a granting of a patent is not necessarily a sign that Apple is actively working on using the technology in its products. Even so, the number of patents and applications, as well as prototypes and concepts by Apple's competitors, suggests smartphones with flexible displays could be arriving in stores within a few years.